June | 2014 | Teemo, Ltd. Thanks to James Sandoval for the link. Nice piece to start the day, the week, the month, and the second half (gulp) of 2014. While I feel like Sorrell is a bit overplayed in our industry, I do find myself often nodding along to what he has to say. In this piece he’s looking at the increasingly intertwined worlds of brands, agencies, tech, and media owners. The walls are coming down and roles each plays in the greater ecosystem are blurring. Here’s a very elegant infographic from our friends over at Infectious Media. It shows cleanly and clearly that programmatic is gaining share across all channels in both the UK and Europe. I’ll be printing this one out and pinning on my wall. Do viewable impressions actually present a bigger opportunity than threat? Viewability, probably second the ‘native’, has been the hot topic in ad tech for at least a year. The issue, on its face, is a simple one: Advertisers want to only pay for online ads that at least have a chance, that is to say are in the viewable area of a device or browser, of being seen by the user. Once again we are hoisted (held accountable to) our petard (crowing about how we are the most measurable media). Obviously magazine advertisers are charged whether someone looks at the page or not — or even half the page for less than a second. However, in the US alone this year ComScore predicts over 4 trillion online display ads will be served. Xaxis stated that it last year it paid more than $750M for more than 3 trillion ads. Woah. That’s a lot of ads and, if my math is right, it comes out to a CPM of $0.25. Not very impressive for the most measurable, fastest growing, and arguably most watched medium in history. Maybe it’s because advertisers already know that somewhere between 25% and 40% of those ads are never going to be seen by anyone. Now, granted, even at the higher end of that estimation, the adjusted price is still only $0.42 CPM. Now, if tomorrow all publishers were somehow magically able to remove all unviewed ads and advertisers began to pay only for ads that were ‘viewed’ would the advertisers agree to a 67% increase in rates for the pleasure? I guess the market would decide but I’m inclined to suggest that no. They would not. However, there’s an opportunity for premium publishers here to clear out a lot of dead brush, refocus on the ad units on their pages, and not make the same mistakes as we enter the curvy bit of the hockey stick growth period for mobile. It definitely seems like creating a bit of scarcity in this market would be a good thing. Whether it’s fewer, bigger display ads, innovative mobile formats that aren’t just shoehorn solutions of display ads, or clever native units, I think there is the chance to retool how premium sites operate. This is, in my mind at least, a huge win for everyone in the ecosystem (except maybe display ad serving companies who make money on every ad served). There’s a bigger, better post in here that needs to be written and I’ll give it the attention it deserves some day soon. However, I think that for now editors, ad sales teams, creatives, agencies, tech companies, and brands need to embrace the need for this clearing out and see it as the opportunity that it is. 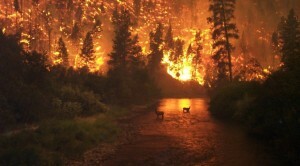 Like a huge forest fire, it’s scary to watch and sometimes seems like it’s going to destroy everything it touches, but ultimately it’s a net positive and indeed necessary for further growth. The biggest adjustment for publishers in the viewability era is the reality that they’ll be serving fewer impressions via the same pages, which in turn means they’ll be making less money per page … which is why many publishers are still wary of the short-term effects of viewability’s widespread adoption. But viewability can also work in publishers’ favour, at least in theory. If there are fewer, more valuable viewable ads, publishers can pump up the CPMs on their viewable inventory to compensate for the hit they take on their overall impressions. 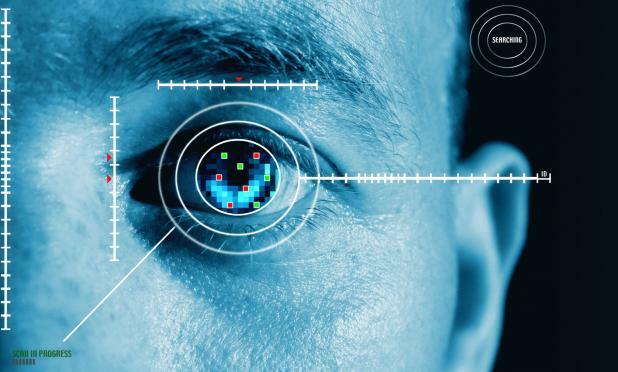 via Publishers grapple with viewability’s biggest issues | Digiday. Interesting news from ‘tech city’, which has always seemed a bit of a political bun fight loaded with tons of conflicting interests. While the headline seems to overplay the demise of Quango, its future seems like it’s at the very least, in question. Tech City UK’s remit has crossed over many other public organisations leading to quiet grumbles from behind the corridors of power. Despite having a relatively small budget (for instance, less than 0.4% of the Technology Strategy Board’s whopping £440m annual budget), their annual reports have been criticised for claiming credit for things that also come under the remit of other bodies including the Mayor’s office, local councils in the area and private sector led initiatives. While the article mentions that Joanna Shields stepped down as CEO, it doesn’t mention (but does elsewhere on the site) that she, "will continue in her unpaid roles of Chairperson at the organisation and Business Ambassador for digital industries." 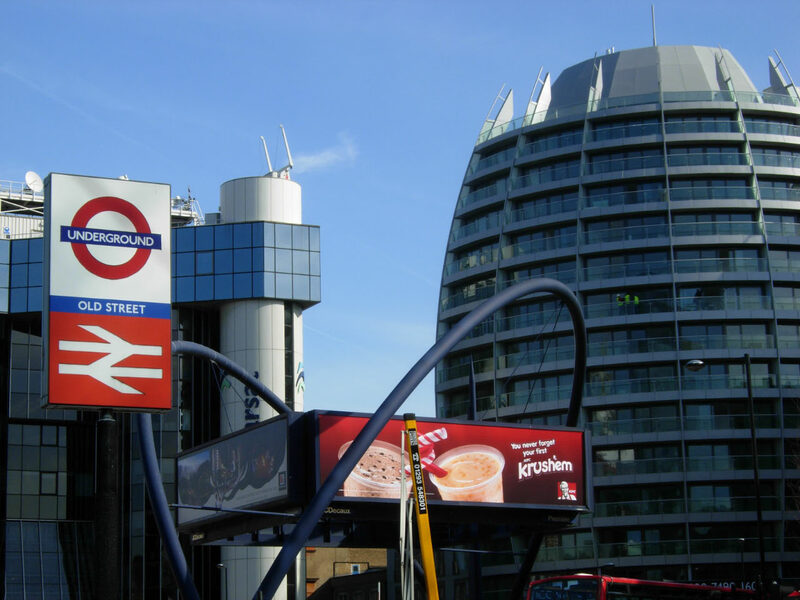 via Exclusive: Is this the end for Tech City London? – Tech City News | Tech City News. It’s been a crazy week so far and it’s only Tuesday at 9:30 AM. Part of this craziness is that there is so much interest in the DistroScale solution. Publishers, especially top-tier, multi-title publishers, are chomping at the bit for a scalable solution for branded content that plugs directly into demand streams on the buy side. I had suspected that there might be some pent-up demand for services like these, services that don’t require a big commitment — or any commitment at all — from publishers, yet offers them monthly paychecks of purely incremental revenue. I’ve seen this before in the early days of RTB when Admeld was building a stable of top-tier premium publishers, offering them a check every month, and solving both their remnant inventory and multi-network management problems at the same time. In the end, that model and their strategy worked out pretty well for them, I’d say. It’s a great business to be in, both providing a solution to a problem and being able to pay people for the privilege. A visual categorization of the major players involved from TripleLift. It’s crystal clear that the industry wants scalable, programmatic solutions for branded content (i.e. 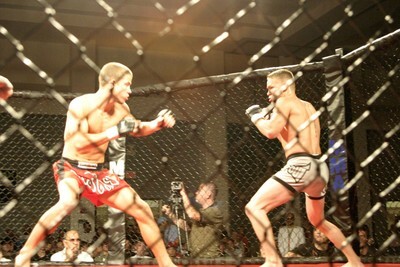 native) and there will probably be a few winners in the space. I don’t think it’s a one-size-fits-all problem and I don’t necessarily think it’s going to lend itself to one dominant player. Again, I look at the RTB world, which spawned at least three extremely successful companies on the publisher side: Admeld, PubMatic, and Rubicon. On the demand side it spawned, and continues to spawn, many many more. I’m looking forward to being on the ground and in the trenches for this latest (r)evolution in ad tech. You may recall I was banging on on Facebook and Twitter yesterday about how the pan-European taxi strike was the best marketing drive Uber could ask for. Not only did it put their brand name into every media outlet across the major EU markets, it provided a fantastic alternative to the strike. You couldn’t devise a better plan to drive both top of funnel and bottom of funnel marketing. Kudos for the entirely free viral campaign taxi drivers. ROI is undefined as you can’t divide by zero. 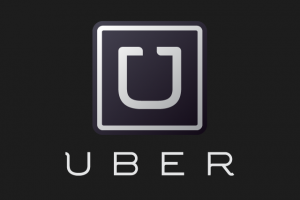 In 7 EU markets Uber went from a sub-50 level app top 50 and in many cases top 10. In Germany Uber went from sub 300 to top 25. In 12 hours. With zero marketing. By my rough estimate, in total, it climbed a staggering 845 slots across Europe. I’m struggling with what the best analogy here would be but one that comes to mind would be that, say, in 2001 at the height of the P2P (limewire, napster, etc. furore) record labels went on a 72 hour strike of selling their music legally. And in their press-releases not only named the P2P sites but provided useful directions on how to use them. It’s insanity. We are witnessing a massive disruptive marketplace power and it’s pretty cool to see. SingTel’s acquisition of not one but two tech companies: Adconion and Kontera. will spend around $150 million on San Francisco-based Kontera, which helps advertisers track and place content on social networks, and $235 million for ad platform Adconion’s U.S. assets, but not its European operations. The Adconion deal includes another $20 million in potential incentive payouts, sources say. "We’ll work closely with a handful of advertisers in each country who are already great members of the Instagram community," a spokesperson told Mashable. "That could mean it’s a global brand with a strong presence in one of the countries, or a regional/local brand specific to that country." It’ll be interesting to see if any other Big News comes out as we are just moving into the Cannes Lions. I’m sure some of these guys are sitting on big news. Will 2014 be the Summer of Consolidation? More top quality content from Digiday looking at the state of Native. As I continue to dig into this marketplace through my work with DistroScale, it’s becoming clear to me that there is a crossroads in the distance. It’s a road we’ve been down before — first with display, then with rich media: Hype & Buzzwords; Tech Provider Cage Fight; Appeal to the Buyers; High CPMs; Wide Scale Adoption; Acquisitions; Devaluation; Commoditisation.I think we’re at the Tech Provider Cage Fight phase of this lifecycle right now. I keep a matrix of Native providers and it seems like at least once a week I need to add a new company to the mix. They are all clamouring for marketshare and to get in front of the buyers right now. What we are calling ‘Native’ is here to stay but I think we are in the very early days of this. It’s nothing new, per se, in the media world; it’s been going on for decades. What is new is the ability to deliver it at scale and across publisher sites — the ability to create a marketplace of brand content (i.e. native advertising) for publishers to review and cherry pick. Subtle labelling performs better: click-through rates of native ads are 57 percent higher for those with a subtle background color compared to those with a strong background shade. When the font of the “sponsored” label is consistent with the rest of the site, the CTR is 64 percent better than when the font style is unique. Publishers are becoming creatives: In Barcelona recently, at Digiday’s EU Publisher Summit, we heard from Dennis Interactive that journalists are being drawn into Native and recruited to create content for advertisers. This is a very intriguing development that blurs the line between commercial and editorial — not something every publisher will have the temerity to do. We need to differentiate between Native Content, Native Advertising, and Sponsored Content: It’s still the wild west when it comes to defining what we are talking about and any three marketers will have 5 different terms they use. However, I think an important distinction is between Native plays that keep you on-site and within the publishers domain (Polar, DistroScale) and ones that drive you off the publisher site (Taboola, Outbrain). Native thrives on mobile: Native works really well in mobile. Twitter and Facebook have shown this. I suspect it’s to do with the scrolly nature of mobile sites. People don’t mind scrolling down screen after screen to read mobile content. Embedding clearly labeled touts within that stream that are relevant and targeted are a great way to not frustrate users and to get your brand stitched right into the content. 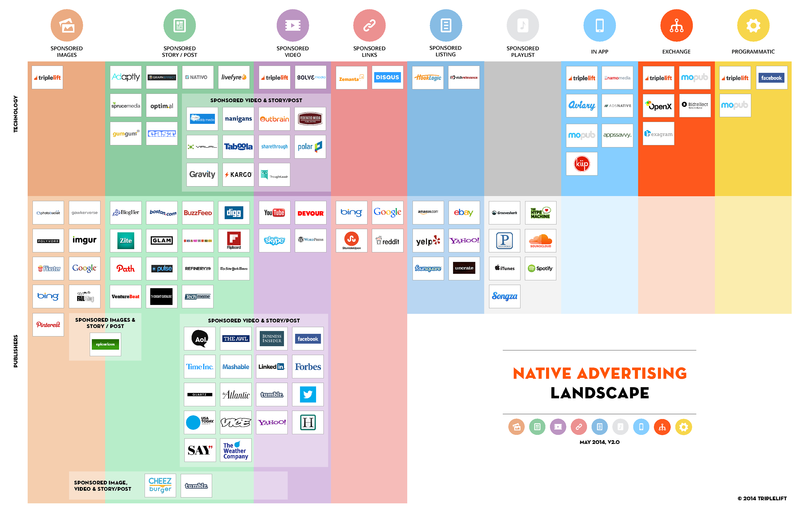 Read the whole piece from Digiday on their site: The state of native advertising in 5 data sets | Digiday. 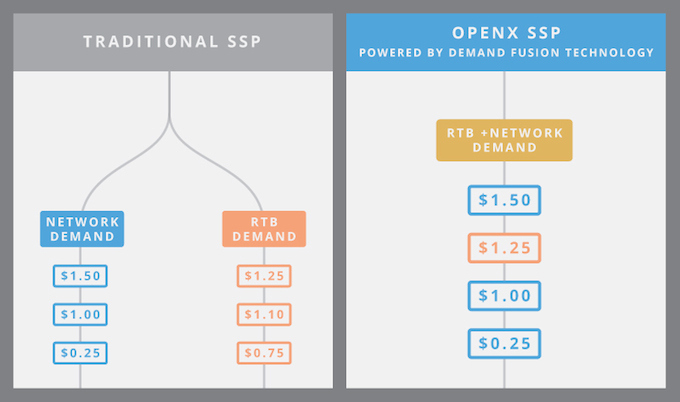 My news feed this morning was topped with not one, not two, but three headlines heralding the launch of OpenX’s new RTB + Networks solution, "Demand Fusion". The key development here is adding in an additional supply query to the networks, which may be offering a higher price for the impression and therefore delivery higher value to the publisher (supplier). In addition to the incremental revenue, Demand Fusion helps to reduce or eliminate daisy chaining on the ops side — a burdensome task for ops teams. It’s rather simple. If a network accepts an impression at a price that is higher than the RTB bid, then by all means, give that impression to the network. But if that network defaults and the next highest price is an RTB bid, then sell it to the RTB bidder rather than simply passing it to another network without regard for the RTB bid. SSPs will usually compare the ad network with the highest CPM to the highest bid from RTB. The approach seems to make sense, but the problem, as explained by Pranay Gupta, OpenX’s director of sales engineering, is that ad networks can say no to a publisher. At that point, however, the SSP is committed to the ad network route, so they’re forced to “daisy chain” through ever-cheaper ad networks until they find a taker — which means that they might make significantly less money than if they’d gone with the bid from RTB. “Daisy chaining is the bane of any ad operations person,” Gupta said. While Demand Fusion sounds like a positive development, I’m not convinced it’s a ‘game changer’ as some people are claiming. However, it’s certainly picking up a lot off buzz this morning! With Its “Demand Fusion” Tech, OpenX Helps Publishers Take A Smarter Approach To Real-Time Bidding | TechCrunch.